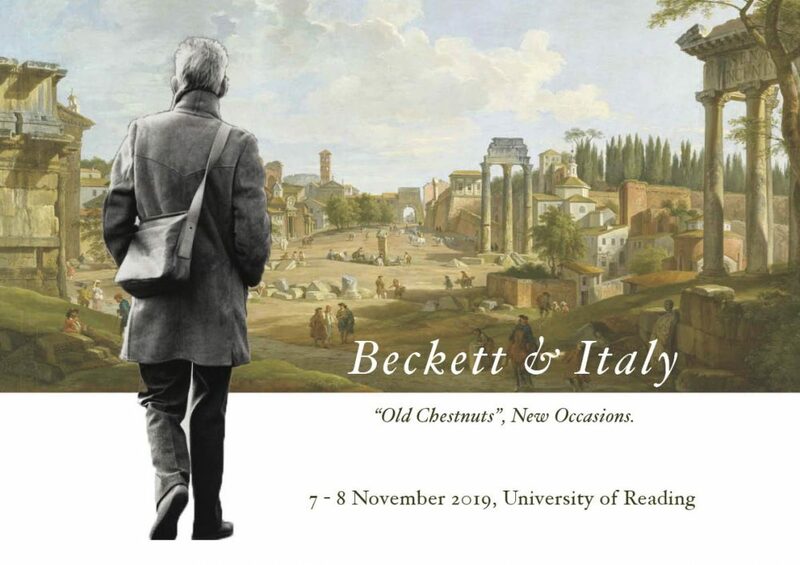 The first Beckett at Reading Postgraduate and Early Careers (BARP) conference took place on the 28th and 29th of October, 2015. Held at the Museum of English Rural Life and with a particular focus on providing a platform for PhD and Early Career researchers, the conference welcomed papers on the theme of ‘Samuel Beckett and Europe.’ The range of presentations spanned Beckett’s life and canon through multiple approaches that saw theory and archival work blending with historical, political and philosophical engagements, showcasing the diversity of current Beckett research. A copy of the conference program can be found here. The conference keynote was given by Dr David Tucker, research fellow at University of Chester and researcher in the Staging Beckett project. David’s paper focused on his work on Samuel Beckett’s only work for cinema, Film, and the possibility of Beckett’s involvement in a remake. Following the keynote a wine reception was held in the newly refurbished MERL foyer, generously funded by Beckett at Reading (BAR). The conference was also partially funded by the Graduate School Events Fund. As a part of the program, the conference also included three workshops. Dr Mark Nixon provided a workshop on archival studies using items from the Beckett Collection held at MERL. Dr Trish McTighe hosted a session on theatre and performance archive work, making use of the recently acquired Billie Whitelaw collection. Professor Steven Matthews also held a ‘Teaching Beckett’ workshop in which the discussion focused on the methods and issues involved in teaching and constructing university teaching based on Beckett’s work. ‘Beckett and Europe’ drew to a close with a roundtable discussion chaired by Mark Nixon. David Tucker and Trish McTighe were joined by Professor James Knowlson and Professor John Pilling to reflect on the theme of the conference and to discuss the diversity of papers that had been heard during the two days. The BARPE team are also pleased to announce that £525 was raised through the sale of Dr Julie Campbell’s academic books, kindly donated by Samantha Campbell. All proceeds will be divided between four charities: Pancreatic Cancer Research Fund, Maggie’s Cancer Centres, the Howard League for Penal Reform and St Mungo’s Broadway. This conference has been a great success with excellent presentations and lively academic debates in equal measure. The BARP team would like to thank all who were involved and particularly those who provided advice and support in the planning of the conference. The Call For Papers distributed for the conference can be found here. The BARP Team are Michela Bariselli, Niamh Bowe, Helen Bailey, William Davies and Sam Whybrow.